Coro brings technology to the average consumer in a way that makes sense. He gets it! From Entrepreneurs to day to day users, Ariel sends the message to make users feel comfortable with technology. Ariel Coro is the most trusted Tech Expert by Hispanics and the top tech influencers in the U.S. reaching millions of households every month through TV, Radio, the Web and Social. Thanks to his work, the tech world is no longer a barrier to a better life for millions of Latinos. Coro’s passion for STEM education and clear vision of the future has helped people embrace technology and capitalize on its limitless benefits. Coro is the regular on-air tech expert on Despierta America, the number one morning show in Spanish in the US. He’s been featured in hundreds of national TV segments with a wide range of topics, from cool gadgets to practical tech advice for parents concerned about their teens on social media. 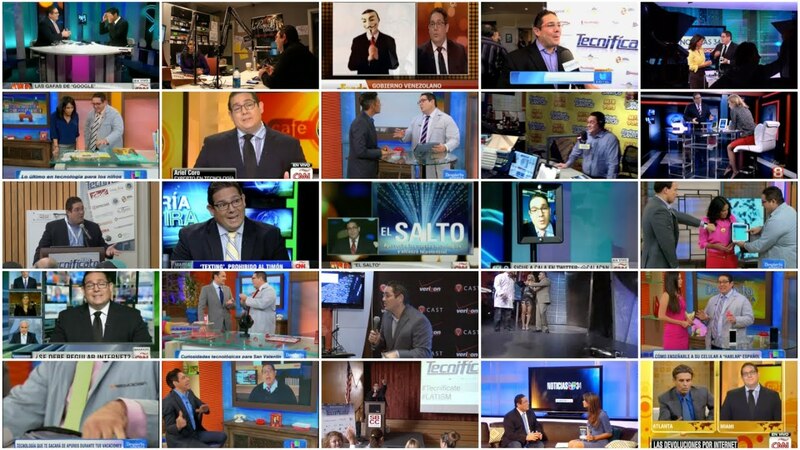 Coro is a regular contributor for Univision News at a national and local level and has appeared on CNN, Telemundo, NTN 24 and has been a featured guest at shows such as Cala, Oppenheimer Presenta, Dinero among many others. Coro’s first book titled “El salto” was published by Random House Vintage and offered Latinos a fresh perspective and practical guide for living in the digital world. Coro is the founder of Tutecnologia.com, a portal where Hispanics learn, share and get their questions answered in a variety of technology-related subjects.